We hope you will enjoy finding out more about our school from our website. 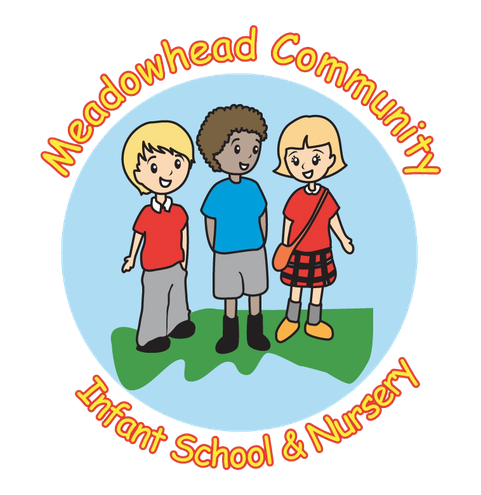 Although it will give you an idea of school life at Meadowhead Infant School, you are most welcome to contact the school office for more information. We would also be delighted to show you around and answer any further questions you might have. We are very proud of our happy, nurturing school. We believe that Meadowhead is a very special place to be and our parents tell us they are very happy with how we care for their children. As an Infant school, we place great emphasis on how we develop children’s attitudes to learning and we know our pupils really enjoy coming to school. Our very recent OFSTED report (October 2016) says we are a 'Good' school! "Pupils rise to the high expectations that teachers successfully model and they benefit from the good teaching they receive. Teachers’ subject knowledge is good and lessons are well resourced." "The school’s work in supporting the care and welfare of pupils and their families is excellent." "Pupils conduct themselves very well around school. Their behaviour, kindness and care for each other shine through." We aim to ensure that all pupils are valued as individuals, encouraging respect, self-confidence and discipline whilst promoting good relationships and ensuring tolerance and consideration towards others. Children are encouraged to be healthy and to care about their physical well-being as well as to be responsible for their immediate environment and the world around them. We want each child to reach their full potential and to develop as caring members of their family, our school and the wider community. Our latest attainment figures (June 2018) for EYFS, Y1 phonics screening and KS1 data show a mixed picture but do and reflect good progress from children's starting points. We continue to have high expectations for all and to make sure our pupils aspire to be the very best they can! Our phonics results are the best ever at 81%!